The old Dunn Memorial Bridge. 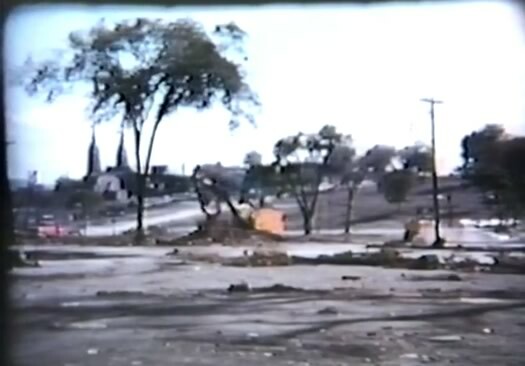 The area razed for the ESP. That's the Cathedral of the Immaculate Conception in the background. 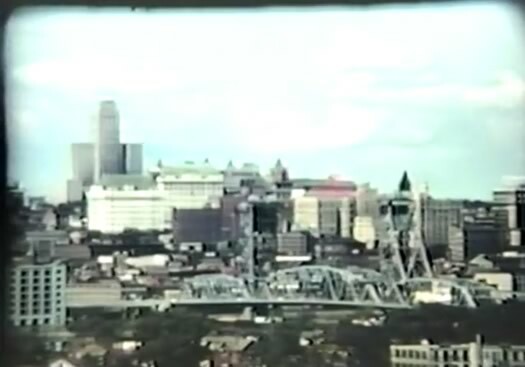 Albany skyline during the Corning Tower construction. A Fourth of July celebration after completion. I was in one of those buildings the other week for the first time. Depressing. Tear the place down and plant an arboretum, with a plaque at the entrance that says "Oops" and a picture of that dreadful complex, with a wrecking ball in the foreground. Let the State workers telecommute. Kingston should thank its stars that the Capitol moved to Albany. That hideous place is a joke and an object of deserved ridicule. Only "The Power Broker" Robert Moses could rival Nelson. At least Moses saved some nice beaches. Thank you for sharing this. 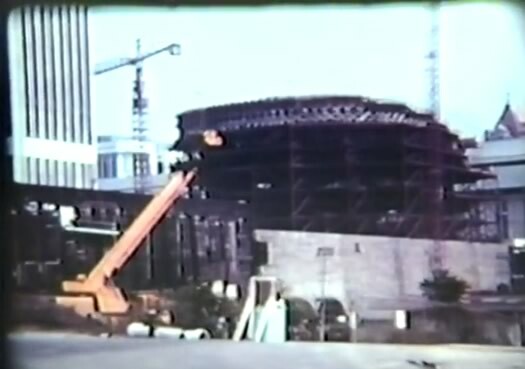 The Empire State Plaza construction and associated demolition are a fascinating story. 50 years ago, I would have strenuously objected to and fought against the plaza proposal. 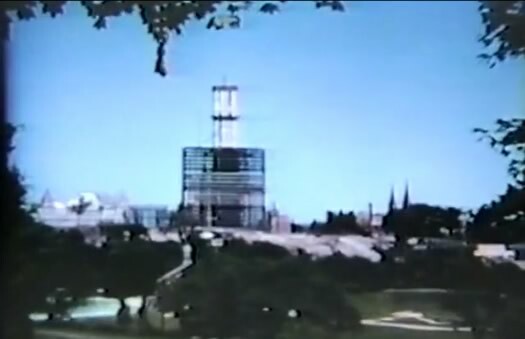 But now that we have it, it is actually pretty remarkable mid-20th-century architecture. Perhaps Albany could have avoided the large-scale urban renewal that cities across the country encountered in the 1960s, but I doubt it. What we got from Rockefeller was an incredible collection of public architecture. Compare ESP with the dismal Federal Building on Broadway/South Pearl to see what we could have gotten instead of the Wallace Harrison-designed collection of buildings and public spaces that comprise the South Mall. 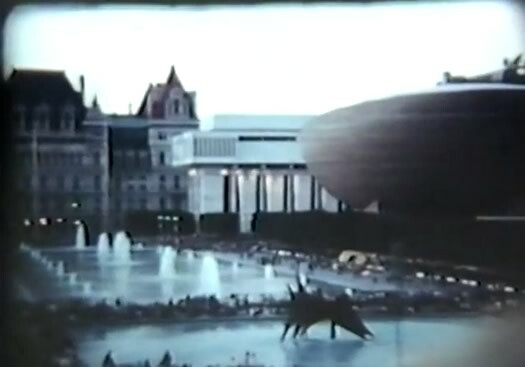 I believe one can mourn losing the neighborhood that once existed where the Plaza sits now, while also appreciating the Empire State Plaza for what it is and demanding that it continue to respect the intention of its designers. I like the implied sneer at the row of Victorian houses that had somehow missed the wrecking ball and were an "outdated" anomaly next to the Plaza. Now they're a civic treasure, and the Plaza is a monstrosity that will be half empty by the time all of the Baby Boomers retire. 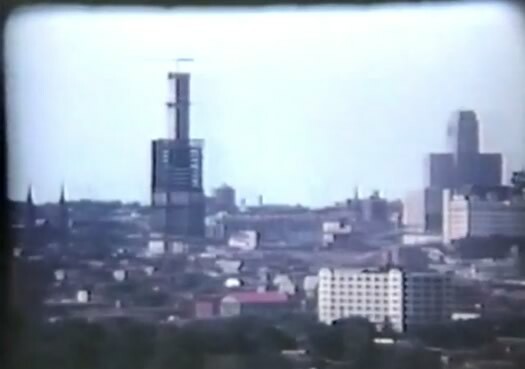 Being neglected through the '60s and '70s was one of the best things that ever happened to Troy. It's still a human-scale city for the most part. The film brings back many memories. 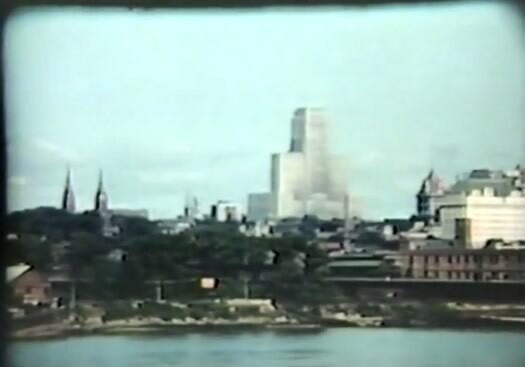 I lived on upper Morris St. and attended Cathedral Academy through 1967, then attended the new school. Many friends were displaced, and as a child I walked by the construction to attend school and to go to Church. Construction went on through all my schools years, I forgot that part, must have been immune to the construction. LB, really! The City of Troy a human scale city, perhaps for some of the dirt bags that inhabit the place. It's a dump and a drug dealers paradise in many locations and it's still being neglected today. The best thing the City fathers could do is to tear down blocks of those abandoned and disfunctional buildings. Their unsafe, dilapidated and too costly to repair. 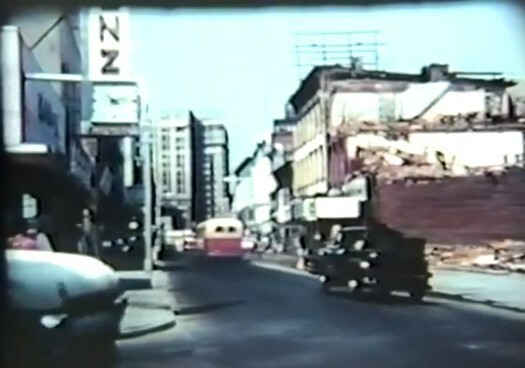 Troy needs urban renewal by bull dozer. Parse out the few historical treasures and make rubble of the rest. Build new infrastructure (i.e. water mains, sewer, conduit infrastructure to support underground power distribution and fiber optics and wider roadways). Put together a committee to design what the next city should look like arcitecturally and sell the property to responsible investors/homeowners. The Plaza is a great treasurer for the area, but it too needs lots of work. Unfortunately it's quite costly to maintain, but it is a great symbol for the Capitol of New York State. It's nice to see it gets more use now and would get even more if the State wasn't so greedy with their parking fees. This is fantastic. My inner history nerd needed this.